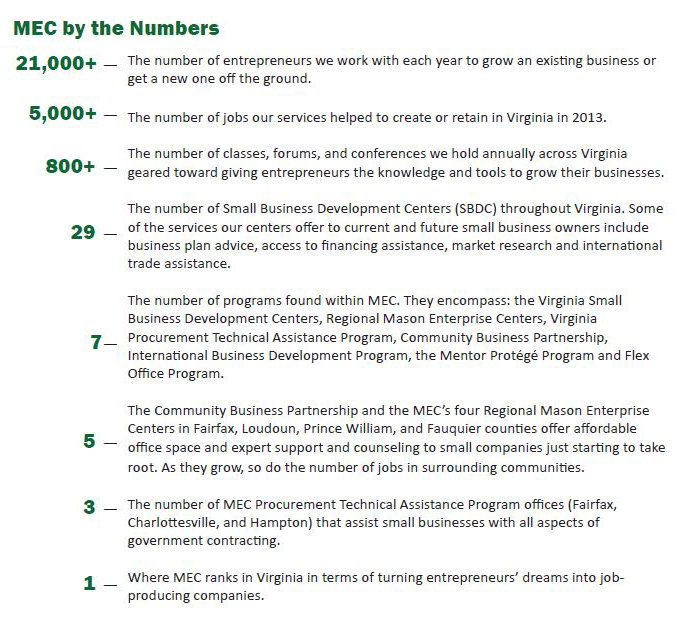 The Mason Enterprise Center programs focus primarily on economic development outcomes supporting not only University goals and initiatives, but also the communities that they serve. These results vary based on the individual program, but include categories such as increased revenues, equity and investments gained, governments contracts won, and jobs created. Additional impact measures can include student/business collaborations on projects, internships, and faculty research.